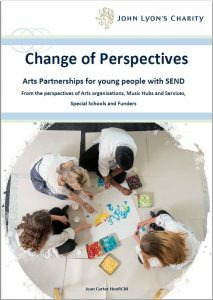 Perspectives (2016) aimed to provide guidance to support the sector to be brave, ambitious and help them share expertise to create new and stronger Arts partnerships for the children and young people of North and West London with special educational needs and/or disabilities (SEND). 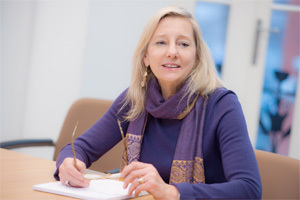 Three years on, the Charity once again engaged its Arts Adviser, Jean Carter, who has a wealth of experience in the sector, to research systematic and attitudinal change within the Charity’s Beneficial Area since the original Perspectives report. The resultant report, Change of Perspectives, offers experiences of change, best practice and issues still impeding the progress of the sector from the perspectives of those who understand it best: Arts organisations, special schools, music hubs/services and funders. Since 1991, John Lyon’s Charity has distributed over £100 million in grants to support children and young people through our nine principle Programme Areas. In addition to looking at 2017/18, this Annual Report provides insight into each Programme Area, featuring some of the key grassroots organisations that are so essential to their communities and the young people within them. Cathryn Pender, Grants Director, also provides an overview of the last twenty five years of the Charity’s grant making in her article The Road to Now (pages 4-5). Click here to read the full report. 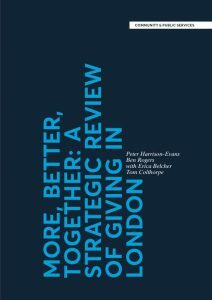 Centre for London’s strategic review of philanthropy in the Capital also features John Lyon’s Charity in relation to the Grenfell Tower response: CYP Funder Coalition and featuring the Young People’s Foundations as a successful model of collaborative practice to support youth services (pages 57-60) and better co-ordinate support for the sector from smaller businesses (page 96). 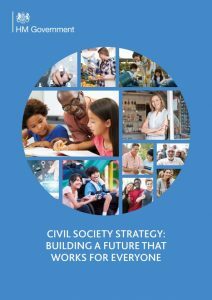 In August 208, the Department for Digital, Culture, Media and Sport published its Civil Society Strategy, setting out its proposals for how it should interact with the wider charitable sector. John Lyon’s Charity’s work features twice: Firstly on pages 35 and 36, the Charity’s Grenfell response was profiled in a case study; secondly, on pages 41 and 42, in which the Young People’s Foundations are identified as a solution to local youth service delivery. 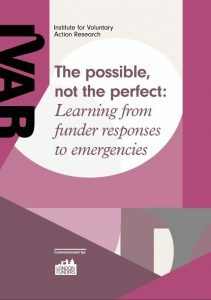 Conducted by the Institute of Voluntary Action Research (IVAR), this report considers funder responses to, and learning from, three major emergencies that hit the UK in 2017: the Manchester Arena bombing, the London Bridge terror attack and the Grenfell Tower Disaster. The Charity features throughout as part of the Grenfell Tower Response: CYP Funder Coalition. Click here to read the full report. In our 2017 Annual Report, we celebrate the contribution that the Charity has made above solely ‘grant-giving’ to the development of a number of key projects and initiatives within the Charity’s Beneficial Area. Featuring: English National Ballet, Primary Shakespeare Company, quality marking with the NRCSE and London Youth, Young People’s Foundations and Schools Counselling Partnership. Each of these organisations has enthusiastically embraced the expertise offered by the Charity and this true partnership approach has has led to the development of innovative, ground-breaking, high-quality projects for children and young people. 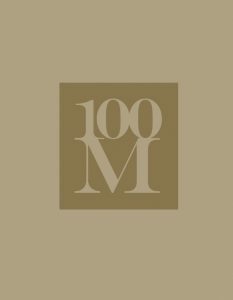 This book is the Charity’s celebration of awarding over £100 million in grants since 1991. It features 100 projects to celebrate the £100 million milestone with vivid, colourful imagery of the breadth and quality of work with children and young people across our Beneficial Area. The £100M book was released during our celebration event, hosted at Westminster Abbey on 27th September 2017. A digital version of the book can be read here. 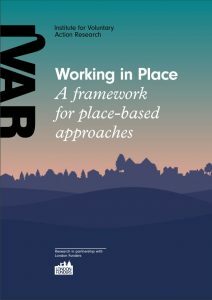 The Institute of Voluntary Action Research (IVAR) has conducted research into place-based funding approaches, featuring John Lyon’s Charity, Association of Charitable Foundations (ACF), Big Lottery Fund, City Bridge Trust, Comic Relief, Esmée Fairbairn Foundation, Lankelly Chase Foundation, Tudor Trust and UK Community Foundations. 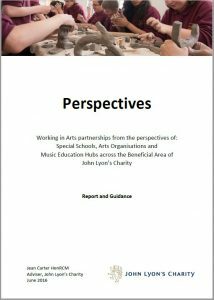 We are pleased to announce the launch of Perspectives, a report that collates the responses of Arts organisations, special schools and music education hubs to questions on what makes good and effective partnerships. 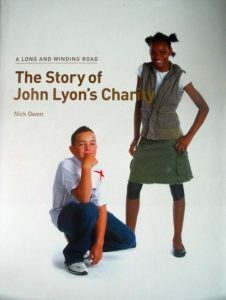 The research and report was produced for John Lyon’s Charity by the Charity’s Adviser, Jean Carter. Jean has many years’ experience working in the Arts sector, most recently as the head of the Tri-Borough Music Hub until 2014. 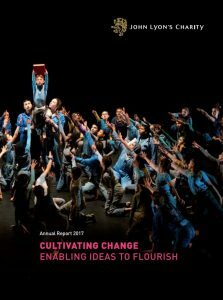 The report outlines – in the words of those working in each of the different sectors – what factors matter to them most in delivering Arts projects: what their priorities are, what they perceive the barriers to be and what they see as the main roles of the different members of the partnerships. It is designed to inform those working in the area and to give confidence to those who have not yet engaged in the process. Perspectives was launched on Tuesday, 28 June 2016 at Lyric Hammersmith. The event was attended by over 70 representatives of Arts organisations, special schools and Music Education Hubs in the Charity’s Beneficial Area. There were also representatives from other funders interested in working in this field. Click here to read the full report. This is just the start of the conversation – we are keen to do more and learn more from you. If you have any comments or suggestions on how the Charity can take this work forward, please do contact the communications team on comms@jlc.london. On 25th November 2015, London Youth launched an evaluation report into its Quality Mark scheme in an event held at Tallow Chandlers’ Hall. The report by Shephard & Moyes was funded by John Lyon’s Charity, who have supported the Quality Mark accreditation for youth organisations in the Charity’s Beneficial Area since 2011. The report evaluates the accreditation process and the impact that the Quality Mark has on groups and sets out actions for London Youth to ensure the Quality Mark can maximise the benefits it offers. 86% of youth clubs said that they now have a robust, regularly reviewed set of policies in place as a result of their Quality Mark certification, and 64% agree that possessing the Quality Mark helped them secure funding and increased their influence on local stakeholders. The evaluation report affirms what we at JLC have long believed: that the Quality Mark helps ensure good youth work! The summary and the full report can be downloaded here. More information can be found on the Quality Mark webpage or under our Capacity Building inititives. 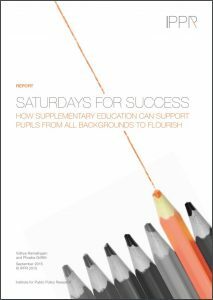 On 17th September 2015, the Institute for Public Policy Research published its latest research into supplementary schools and important role they can play in supporting the mainstream school sector. Mainstream schools can benefit in a number of ways from the work of community-led educational programmes and this report makes recommendations for how pupils, schools and communities can gain from the rich, extracurricular learning environments that these ‘supplementary schools’ offer. The report was funded by John Lyon’s Charity. Click here to read the full report. More information on the Charity’s work with supplementary schools can be found here. 441 years ago John Lyon’s Charity was established to spread gravel to maintain the Edgware and the Harrow Roads. As a grant-giving trust, we celebrated our 21st year of grant-giving in 2013. To date we have distributed over £78 million to charitable causes. A Long and Winding Road – The History of John Lyon’s Charity records the intriguing story of how, as a result of the Founder of Harrow School giving its Governors the responsibility for laying gravel to repair these roads, the foundations for a modern grant-giving trust with assets now worth in excess of £300million were laid. There are disputes in the courts and issues with the Charity Commission, culminating in ten years of tortuous and frustrating negotiation to change the purposes of the Charity. The book was written by Nick Owen, the Harrow School governor with primary responsibility for the Charity through its transforming years. 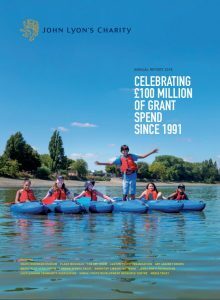 It includes extensive features of recent grant programmes with contributions from the Charity’s staff, advisers and those directly involved with the recipient charities and boroughs. If you would like to order a copy of the book, please email comms@jlc.london.